Sun, sand, blue water and cool people. These are the pictures that every diver has in his head. Why not take your first step towards a PADI PRO at such a place ? Do your Divemaster training and also the next step – the Instructor Development Course (IDC) and the Instructor Examination (IE)! We offer first-class Divemaster training and of top of this, an intensive IDC preparation. What do you have to do ? 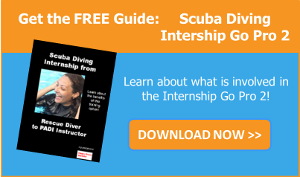 After the completion of the Divemaster training you must do the IDC & IE with us. In other words: training to a PADI PRO, all at one location! 2 – 3 month of time available. This time span could also be shortened to approx. 6 weeks if you have more dive experience. Diver to Open Water Scuba Instructor and includes also all your Divemaster training for only 1 €.